The Prevention Gap Report issued by UNAIDS in 2016 provided a sobering set of statistics. Only about 38% of people living with HIV experience enough treatment success to be classified as being virally suppressed, and the use of pre-exposure prophylaxis (PrEP) as an HIV prevention strategy is not easily applied outside the confines of clinical trials. Current use of PrEPs is less than 5% of the 2020 goal. Although 90-90-90 and PrEP are landmarks in the nearly 40-year history of AIDS, a singular focus on antiretroviral medications (medications used for the treatment of infection by retroviruses like HIV) neglects a larger need to provide basic HIV/AIDS education to young people and to make latex condoms easily accessible. Some two-thirds of young people lack sufficient information about the prevention of HIV. The report noted that between 1990 and 2015, an estimated 45 million new infections were averted due to condom use, yet nations such as South Africa fail to provide condoms to all of those at risk of HIV transmission. These two observations alone pose the question of whether resources were allocated to antiretroviral medications (ARVs) and their use at the expense of education and condom availability. This is a life or death question. 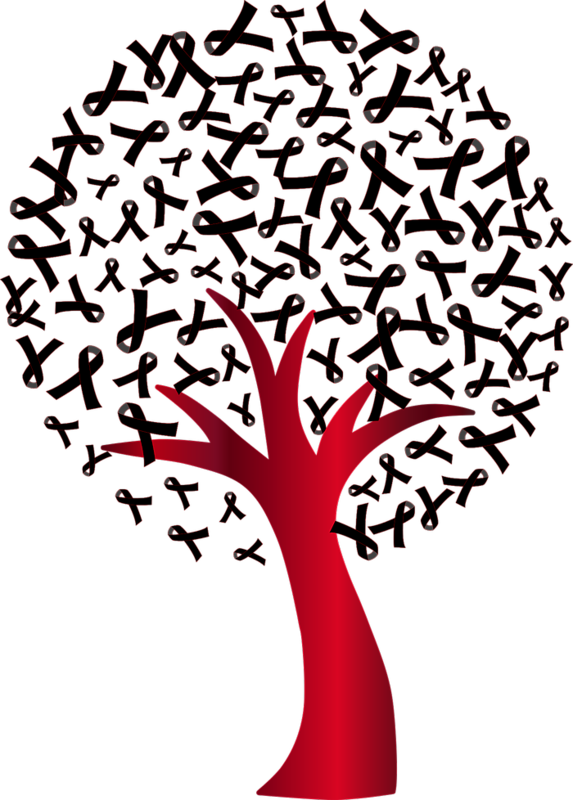 Image credit: “World AIDS day tree” by GDJ. CC0 via Pixabay. We should not choose to focus our collective energies and resources on ARV development, when the key issue is motivating people living with HIV to adhere to therapeutic regimes and sustain use. As former Surgeon General of the United States C. Everett Koop noted, “Drugs work in people that take them.” All the drugs, even vaccines, will not eliminate AIDS unless we are prepared to work to change behavior. Without the right social and behavioral interventions we will not eliminate AIDS. Studies have demonstrated the capacity to change AIDS-associated risk behaviors. However, these interventions are seldom brought to scale and tested in real-world settings. Without a structured and coordinated system of dissemination, many effective non-medical interventions will reach only a fraction of the potential target populations; their impact will be modest. Perhaps even more important is that structural conditions related to HIV transmission are unlikely to change with ARV use as the focal point of intervention. These conditions include a lack of education for young women, homelessness, poverty, persistent hunger, income inequalities, drug addiction, and discrimination based on race and sexual minority status. Slow and steady progress is being made to provide sustainable intervention programs designed to alter these structural issues, or to at least mitigate their effects. It is these types of efforts that will ultimately reduce the spread of HIV and the need for the current rampant spending on ARVs, estimated to be nearly 50 billion USD annually with less than 20% of this being invested in prevention programs. As has been true from the start of the AIDS crisis in the early 1980s, it is important to focus on rectifying the oppressions and disparities that provide ample opportunities for this virus to thrive among humans. We acknowledge the value of ARVs within the context of what should become a greatly expanded global effort to devise, test, and implement structural-level intervention plans that favor the host over the virus and favor human rights overall. Feature image credit: “Human Immunodeficiency Virus” by Typographyimages. CC0 via Pixabay. Richard A. Crosby is the Good Samaritan Endowed Professor in the department of Health, Behavior, and Society in University of Kentucky's College of Public Health. Ralph J. DiClemente is Professor and Chair in the Department of Social & Behavioral Sciences, within the College of Global Public Health at New York University. 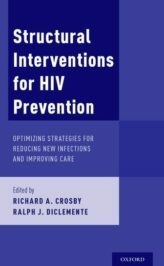 R.A. Crosby and R.J. DiClemente are the editors of Structural Interventions for HIV Prevention (OUP, 2018).